I had some dental work today. Normally, I don’t mind a trip to the dentist. At all. In fact, I even enjoy getting my teeth cleaned. However, today was not a normal visit. I was in the chair for 3 1/2 hours. It felt a little grueling, and after 210 minutes of having my jaw jacked open, I am slightly on the wilty side. Nonetheless. It gives a girl time to think. I’m a little thirsty in this chair. Hungry too. If you have to be here this long, they should give you snack breaks. Something easy, but good. Ice cream if you ate sweets. I’d just settle for a cold drink of water at this point. If I were like a camel, I probably wouldn’t need that right now. Camels. I wonder why camels are so fast. You wouldn’t think they need to be speedsters, living in the wide open desert. But they can all out run. As fast as racehorses — 40 miles per hour. And if you put a camel and a race horse in the sand, the camel wins every time. It would be like the Kentucky Derby meets Sahara. Good lord. I think this guy is trying to drill for oil, all the way to the Saudi Arabia in there. I can’t possible have any teeth left at this point. I bet camels have nice teeth. Come to think of it. Camels are pretty cool all around. Although, a cockroach can go longer without water. But camels are cuter. A lot cuter. They have those eyes. Those deep, dark, soulful eyes, which, by the way, have three sets of eyelids and two rows of eyelashes to keep the sand out. Here’s another good thing about them. Camels can completely shut their nostrils during sandstorms. If we humans could do this — well — it would come in handy when you are around stinky things. Just close off the old nostrils. I’m still thirsty, and it doesn’t help that they keep spraying water in my mouth and telling me to spit it out. I swear, the next time, I’m going to swallow. Camels can go a long time with no food or drink because of their hump. Those handy humps on their backs let them store up to 80 pounds of fat. A pretty nifty thing in the desert. They can live off that hump for weeks and even months. But boy oh boy. 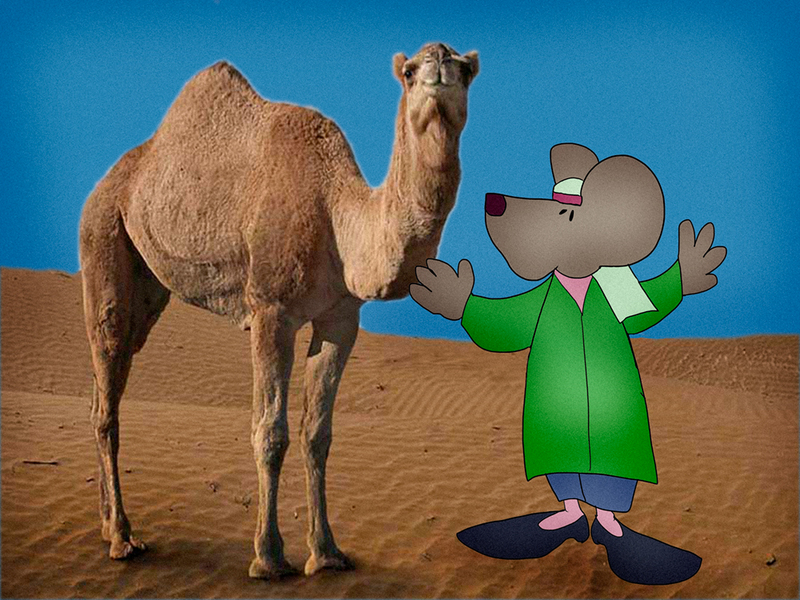 Once a camel starts to drink, when that thirsty dude finally does find water, he can drink up to 40 gallons in shot. A camel walks into a bar…. I like camels. I guess they would have to be the Patron Animal of Kid Wednesday. Because of the hump, mostly. You know. Wednesday is Hump Day. So it seems only fitting. Plus, the camel seems harmless enough on the surface. Even cute. But all the while, it is secretly thinking of ways to spit on you. I’m pretty sure the dentist just left the room to go get a jack hammer. If I were a camel, I might consider spitting on him when he gets back. But no. I’ll be strong like a camel. They can can carry up to 900 pounds for 25 miles a day. So I can hang on until the last tooth is complete. The way of the camel. After 3 1/2 hours, I was done. Although, I couldn’t feel my face for about another six hours. But it is all back now. And now that I have all my nerve endings back, it feels a little like someone punched my in the face. Repeatedly. But after all of this, I am thinking of changing my name to King Arthur. And opening a Camel Lot. Helen, I like nothing at all. I am for sure opening a Camel Lot. You can call me King A.
Steve’s never been to the dentist for 3 1/2 hours. Which is it. Or not.